Want Sounder Sleep and a Stronger Immune System? 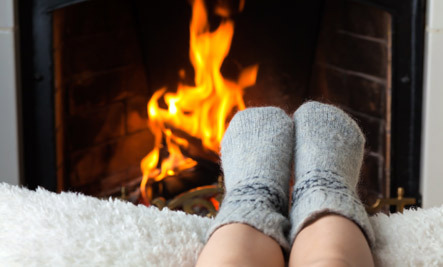 Did you know that Fall and Winter are typically poor indoor air quality months due to the burning of candles, fires in fireplaces, cooking, pet dander, and more with little fresh air being let in? So, now that we’ll be spending more time indoors with door and windows closed, it’s more important than ever to make sure your Indoor air Quality (IAQ) is clean and healthy!You are receiving this message because you are important to me. We are hosting an Austin Air Filter special savings event through Heather Tubbs of Truly Healthy Baby. Austin Air Filters are made in America and are one of the Top Rated Air Filters! The Benefits of having an Austin Air Filter include…. 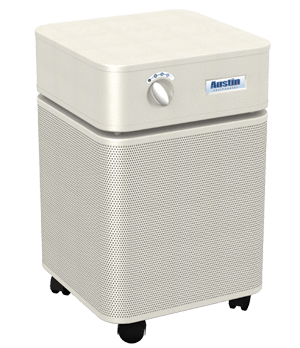 For The Ultimate in Air Purification…The Austin Air HealthMate Plus! Available in an array of colors! Contact Heather and tell her that I referred you. Place your order with Heather and receive your savings! Your Austin Air Filter will be shipped direct to your home. Order your Austin Air filters today for your home and your home and enjoy the benefits of Clean and Healthy Indoor Air all year! According to the EPA, scientific evidence indicates that indoor air can be more seriously polluted than the outdoor air in even the largest and most industrialized cities. Other studies indicate that people spend approximately 90 percent of their time indoors. The math isn’t so great–for many people health risks may be greater due to indoor air pollution rather than outdoor pollution. Ill effects may arise after just a single exposure as well as repeated exposure, and can run the range from irritation of the eyes, nose, and throat, to headaches, dizziness, and fatigue. These effects are usually short-term and treatable–sometimes simply eliminating the exposure to the source of the pollution is treatment enough. Other health effects can show up years after a single exposure as well as long or repeated periods of exposure. These effects, which include some respiratory diseases, heart disease, and cancer, can be severely debilitating or fatal. It is important to try to improve the indoor air quality in your home even if symptoms are not noticeable. There are a number sources of air pollution that are more commonly known as others–many already know about the dangers of cleaning products and air fresheners. Here are seven sources of indoor air pollutions that may be less commonly known–adapted from Greenerchoices.org. 1.New carpet. Carpet materials can emit a variety of volatile organic compounds (VOCs). 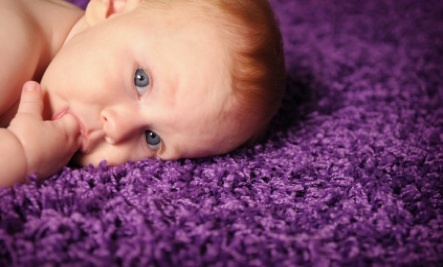 Tip: If you have carpet installed, ask for low-VOC, formaldehyde-free adhesives. Air out new carpeting for a few days before installing it. After it’s laid, keep windows open in the room and run a fan for two or three days. 2. Broken compact fluorescent lights. If they break, CFLs can emit mercury, a neurotoxin, in small amounts into the air. Carpets cannot be fully cleaned of mercury and vacuums should not be used to pick it up. Tip: Don’t use CFLs in lamps that could easily tip, especially in homes with children or pregnant women. If a CFL breaks, open a window, shut off central air, clear the room for 15 minutes, and follow the EPA cleanup guide. 3. New electronics and other plastic products. Products made with polyvinyl chloride can emit phthalates, which have been linked to hormonal abnormalities and reproductive problems. Plastics can also release flame-retardant chemicals, such as polybrominated diphenyl ethers, which have been linked to neurobehavioral changes in animal studies. 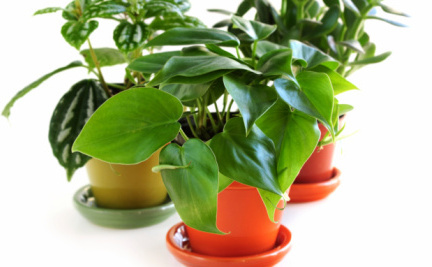 Tip: Ventilate space until the chemical odor dissipates. Vacuum around computers, printers, and televisions regularly. 4. Glues and adhesives. They can emit VOCs, such as acetone or methyl ethyl ketone, that can irritate the eyes and affect the nervous system. Rubber cement can contain n-hexane, a neurotoxin. Adhesives can emit toxic formaldehyde. Tip: Look for water-based, formaldehyde-free glue. Work in a well-ventilated space and don’t get too close to your work. 5. Heating equipment (stoves, heaters, fireplaces, chimneys). Heating equipment, especially gas stoves, can produce carbon monoxide, which can cause headaches, dizziness, fatigue, and even death if not ventilated properly. It can also emit nitrogen dioxide and particulates, which can cause respiratory problems and eye, nose, and throat inflammation. Tip: Hire a professional to check that your boiler or furnace is working properly every year and keep chimneys and other heating equipment well-maintained. Install carbon-monoxide alarms and use a hood over kitchen stoves. 6. Paints and strippers. Latex paints are a big improvement over oil-based paints because they emit fewer chemical fumes. But as they dry, all paints can emit VOCs, which can cause headaches, nausea, or dizziness. Paint strippers, adhesive removers, and aerosol spray paints can also contain methylene chloride, which is known to cause cancer in animals. Tip: Use low-VOC paints. When applying paint, open windows or doors, ventilate the space with fans, and wear a respirator or mask. Pregnant women should avoid using paint strippers with methlyene chloride. 7. Upholstered furniture and pressed-wood products (hardwood plywood, wall paneling, particleboard, fiberboard). When new, many furniture and wood products can emit formaldehyde, a probable carcinogen that can also cause eye, nose, and throat irritation; wheezing and coughing; fatigue; skin rash; and severe allergic reactions. Tip: Increase ventilation, particularly after bringing new sources of formaldehyde into your home. Use exterior-grade pressed-wood products (they’re lower-emitting because they contain phenol resins, not urea resins). Look for formaldehyde-free furniture and wood products.